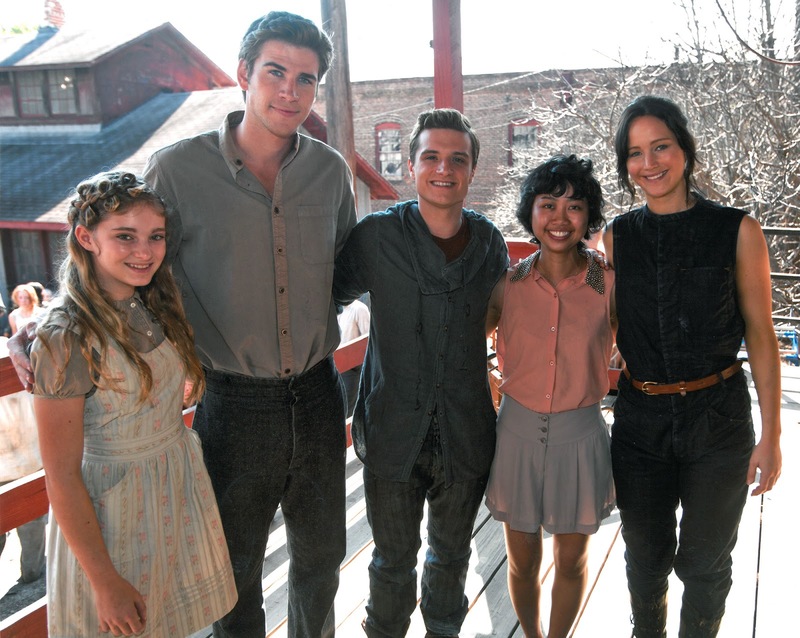 Jennifer Lawrence, Josh Hutcherson, Liam Hemsworth and Willow Shields on the Catching Fire set with Marisa. Kids Wish Network is an international charitable organization dedicated to infusing hope, creating happy memories, and improving the quality of life for children having experienced life-altering situations. The charity granted the wish of Hunger Games fan Marisa Tran, and allowed her to enjoy an all expenses paid trip to the Catching Fire set in Atlanta. What a great story! Read the full article over at Kids Wish Network. Thanks to JHN for the tip.